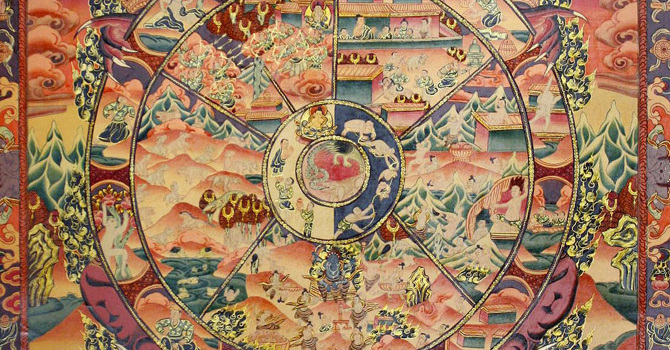 If fear and confusion occurs during this initial transition to the Bardo of Dying due to insufficient concentration and preparation, one will wander through the “intermediate realms” of the second bardo realm. In this realm, called the Bardo of Experiencing Reality, there are visionary encounters with beings of light, similar to angels, or dark and intimidating beings, likened to demons. If there is a lack of training or preparation during this transition into the final bardo, one will lapse into unconsciousness and find itself seeking rebirth, in which one wanders about seeking ordinary existence and to find a family to be born into. This bardo ends with the process of selecting another human incarnation. Ralph Metzner. 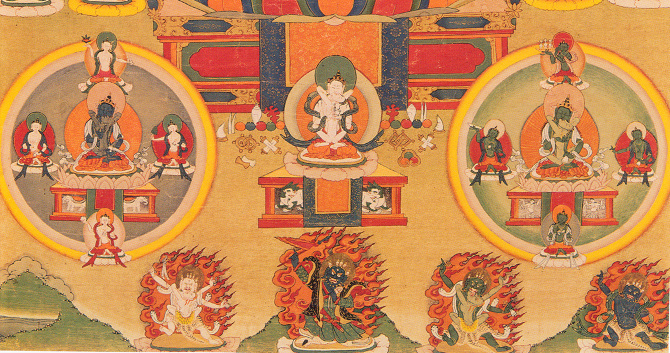 A New Look At The Psychedelic Tibetan Book Of The Death. 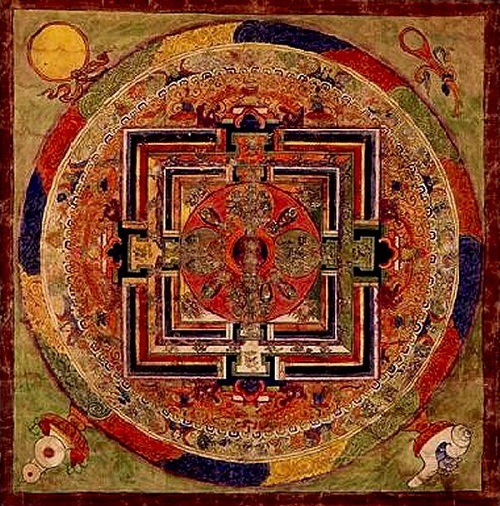 Zig Zag Zen – Buddhism and Psychedelics. Allan Badiner.